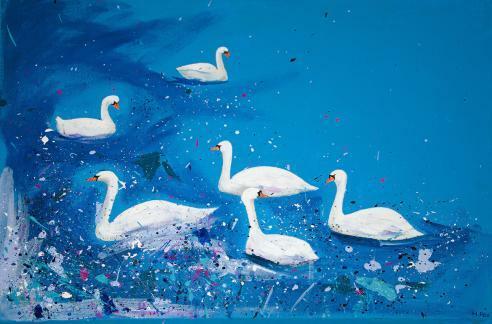 Six white swans glide across an azure lake. A sinister reptile wearing religious vestments watches me, unblinkingly. In my hand is a pearl, as heavy and white and cool as a tiny moon. A wide-eyed young girl smiles at me, seemingly oblivious to the pug sitting on her head. Sculptures, wires threaded with buttons and beads and bells, pour a kaleidoscope of light onto every surface. What’s got me all giddy and reduced me to (sort of) poetry? It’s Art House; an annual celebration of local creativity that turns ordinary homes into art galleries and lingers in the memory of each visitor as a dizzying collection of extraordinary images. If you’re not familiar with the Art House concept, get yourself over to the Art House website right after you’ve finished reading this article. 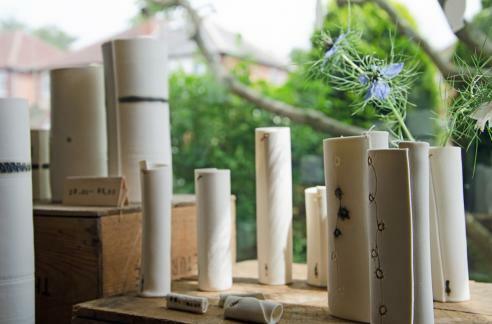 There you’ll find out more about this annual art trail and its mission to to exhibit “extraordinary art in ordinary houses” across Clarendon Park and Stoneygate. As well as finding out about the philosophy behind the event and seeing profiles of some of the artists involved, you can watch an excellent video by Bill Newsinger, which features interviews with the organisers as well as a sneaky peek behind the scenes of the event. The article I wrote to accompany last year’s Art House is worth a read if you’d like to find out more about the whole experience from a first-time visitor’s point of view. You’ll also find profiles of artists Sue Oldman, Ian Mitchell, Louise Ellerington, Charlotte Linder, Linda Gleave and Peter Rapp. The stunning painting at the top of this post is by Leicester artist Holly Fox. Holly’s paintings feature simple but striking compositions and eye-catching colour combinations. I love the way the water has been painted in this picture, and the way the viewer’s eye hops from the orange beaks of the swans to the bright blue of the lake. So vibrant and full of movement. In her work with porcelain, metals and textiles, Samantha Robinson encourages viewers to take a closer look at commonplace objects and embrace the ‘everyday ordinary’. The clean, white, delicate lines of the porcelain are embellished with metal and fabric details giving each piece of jewellery and tiny sculpture an uniquely precious identity, like a perfectly preserved museum artefact. 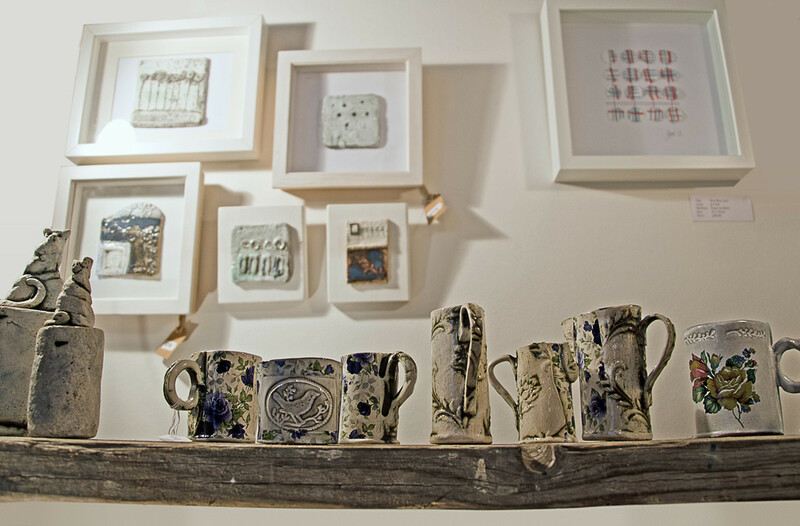 Another ceramicist exhibiting at Art House this year was Gerry Unsworth. Much of Gerry’s work is inspired by nature and is designed to be displayed outside. So many sculptures seem to look their best in gardens and natural settings and these characterful birds are no exception. The vivid colours of the summer garden and the soft light from the overcast sky really bring out the chunky forms and the weathered texture of the material. These bewitching pendants are made out of gold and pearls by Monica Chrysostomou. 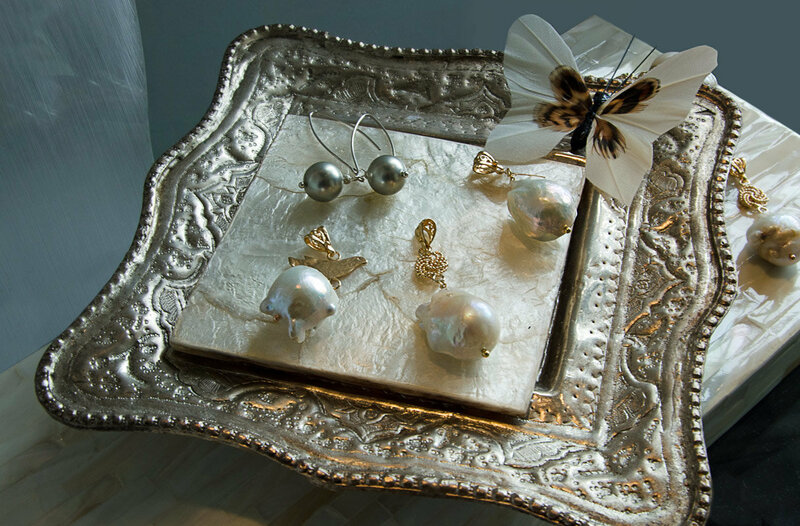 I’ve never seen pearls like these and found them captivating – about four or five times bigger than your average little round pearl, they have a fluid, organic quality which is incredibly tactile. The kind of pendant you can imagine being worn by a princess in a fairy tale, there’s something ethereal about these beauties. Paul Klee once described drawing as ‘taking a line for a walk’. In her sculptural artwork, Sue Clews uses electrical wire as her line, and takes it for a walk on which it picks up beads, buttons and tiny bells, creating an incredibly intricate yet practical work of art. 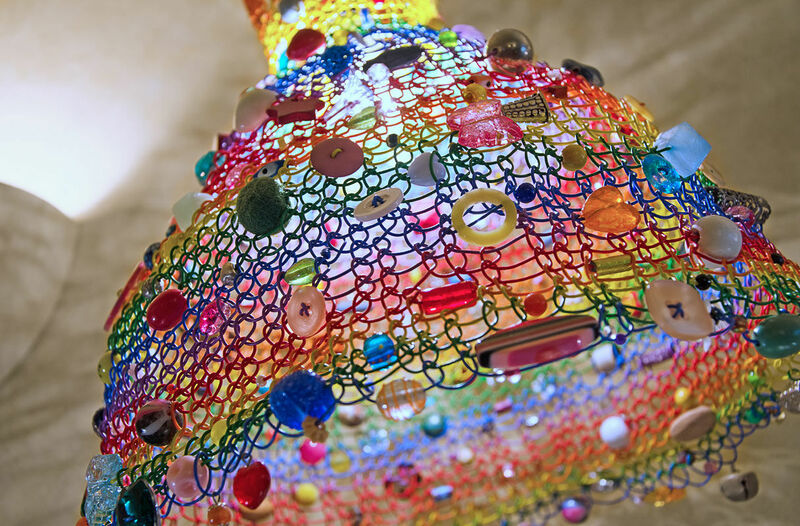 This lampshade, festooned with colourful trinkets, sent beads of light bouncing off every nearby surface, turning its surroundings into one huge work of art. This year, one Art House venue was reserved for ‘The Upstarts’, a group of retired emerging artists. One of these was John Guy, who creates sculptures out of wood. 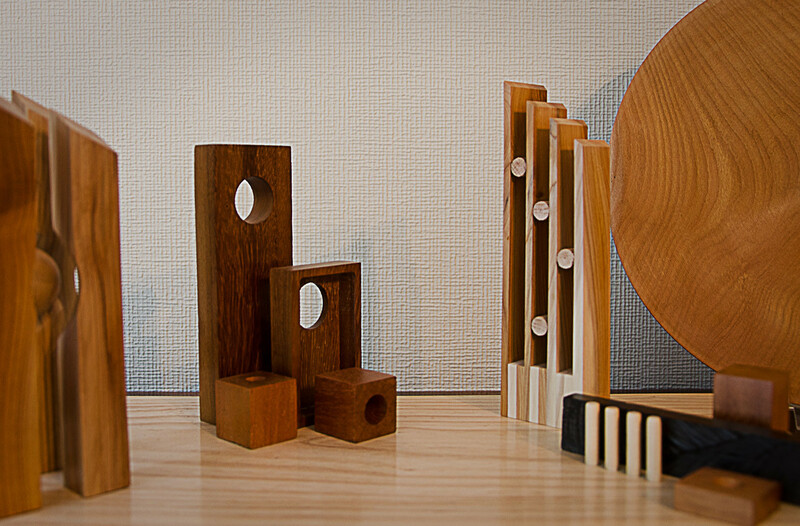 I’m a big fan of the geometric shapes, clean lines and a limited colours John uses in his work – they’re really successful in showcasing the beauty of the different types of wood. Gemma Bee is a felt artist who makes detailed felt animals which are bursting with personality. Click on her name to visit her Facebook page ‘Buzzy Feltz’ and see this side of her work, which I failed to do justice to photographically. 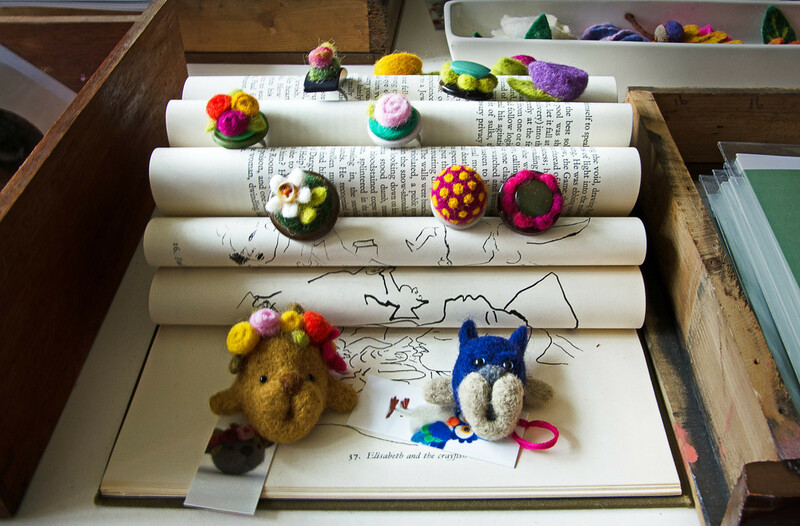 The picture above shows some smaller pieces of wearable art – button and felt rings and brooches. Even these tiny examples of Gemma’s work are full of colour and character. I mentioned Barry Bulsara in last year’s post. He’s a hugely popular Leicester artist and a regular at Clarendon Park’s summer and winter fairs. Barry draws his inspiration from contemporary culture and sci-fi in particular, and I particularly love his use of typography. 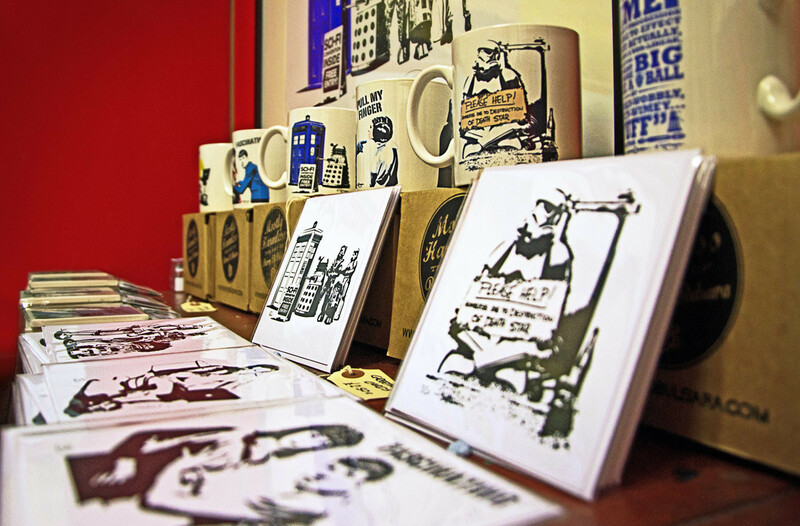 Here you can see a range of Barry’s designs on mugs and cards – a great way of making his art accessible to a wider audience. 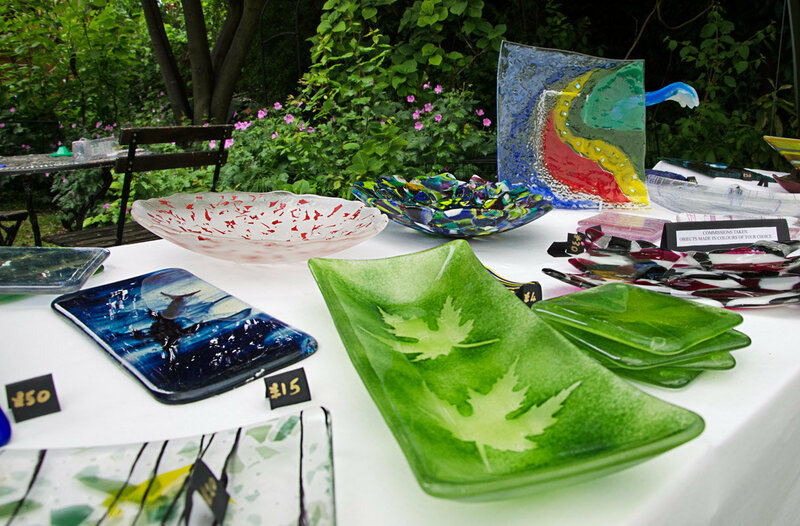 Loughborough resident Anne Kingham works with glass, making a wide range of objects, from vases, bowls and coasters to purely decorative sculptural pieces. The green bowl in the centre of this picture is a favourite of mine – it looks like the leaves are suspended in the glass like the insects you see preserved in chunks of ancient amber. Sophie Oakley’s oil paintings are inspired by coastal scenes and natural landscapes. She also incorporates emulsion transfers of photographs into some of her paintings, which somehow only enhances their other-worldliness and gives them a dreamlike quality. I was particularly struck by the varied textures Sophie creates with the paint – they give her rich landscapes a striking, organic appearance. 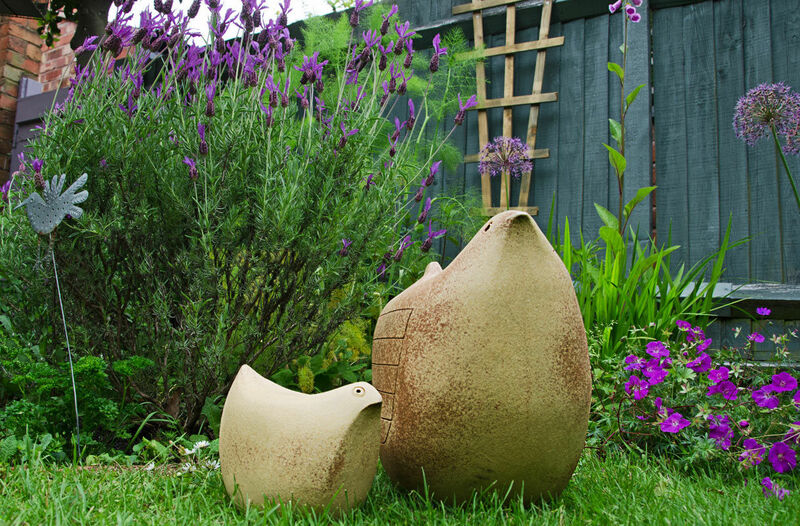 These quirky designs are the work of Charlotte Barker, Founder of Eskimo Blue pottery studio. I’m a big fan of ‘practical art’ that serves another purpose alongside being easy on the eye, and these pretty cups and vases are perfect examples. They have a rustic, retro look which really appeals to me. Art House wouldn’t be complete without Tart House, a pop-up cafe set up in one of the venues to provide visitors with hot and cold drinks and freshly baked homemade goodies. I treated myself to a parmesan and chorizo scone with butter, a slice of ginger and salted caramel cake and a big mug of tea. The whole lot set me back £2 and was absolutely delicious. Tart House was extremely busy while I was there, so hopefully the organisers raised plenty of cash for their chosen charities; The Bone Cancer Research Trust, LRI Teenage Cancer Unit and MIND. It’s a real privilege to be welcomed into the homes of so many local artists, to be able to talk to them directly about their work and the inspiration behind it, and to see such a breadth of artistic disciplines on display. 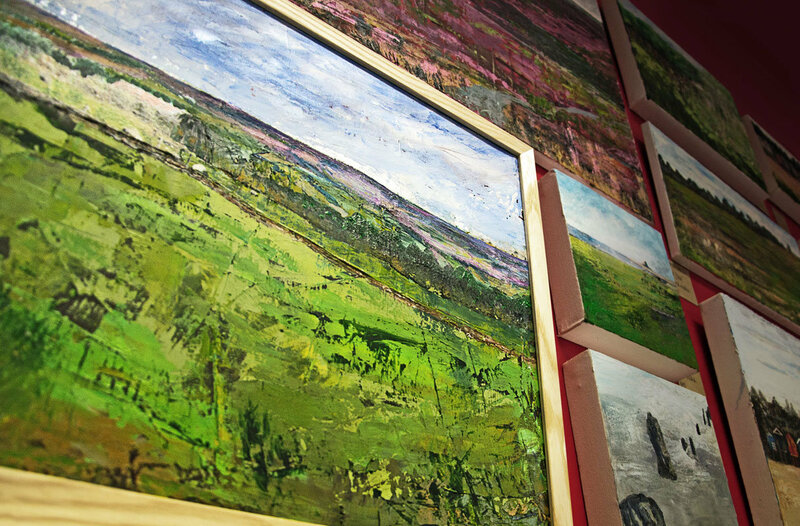 Forget the stuffiness and formality of a gallery – here the art is displayed in a familiar environment, making it so much easier to picture how it might look in your own home. Congratulations to the Art House team for continuing to improve and evolve this wonderful event, which grows in popularity every year. Art House 2016 will run from Saturday 11 June until Monday 13 June. Get the date in your diary and don’t miss out on a unique opportunity to see a vast range of extraordinary art exhibited in ordinary homes right on your doorstep. Thanks for sending me the article on Art House and for including me in your piece. I am glad you enjoyed the event. Next year will be even better!